The most significant book was given to me by my sister, Jane. 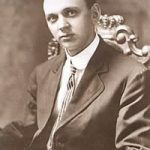 It was called There is a River by Thomas Sugrue and was a biography of Edgar Cayce (1877-1945). He was known as “The Sleeping Prophet” because he did readings while in a kind of sleep or trance state. That was electrifying to me. I finished the book that night. I called Jane the next morning and we went to hear a lecture on Cayce at her church that weekend. We joined a study group and began a life-long investigation of different avenues of religious thought, metaphysics, and philosophy. I liked that the Cayce study group books were called “Search for God” instead of “We-Found-God-and-You’d-Better-Believe-as-We-Believe”. Nobody flipped out if you had a question, or disbelieved a portion of the philosophy. You were accepted at whatever level of growth you were at, and encouraged to learn further. 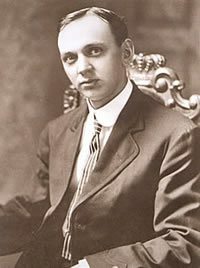 In 2009, Jane and I went to a weekend seminar at Edgar Cayce’s foundation headquarters, The Association for Research and Enlightenment in Virginia Beach, Virginia. It was wonderful to see it and some of the 14,000 readings – it’s the largest archive of a psychic’s readings anywhere.